We gather a few more clues and then it's time to start our campaign against Blackthorn. We start by reclaiming a couple of the crown jewels of Lord British. 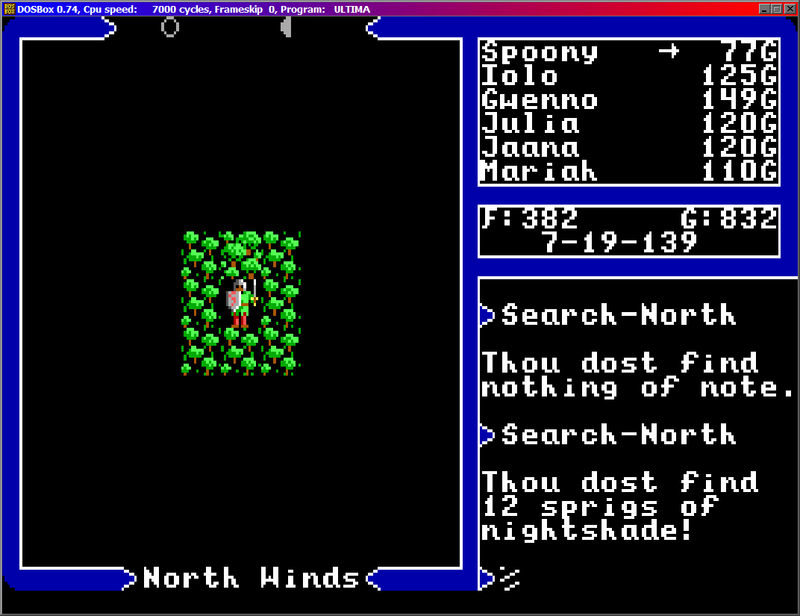 Nightshade is in the deepest part of Spiritwood, which lies a short distance southeast of Skara Brae. Search the coordinates I'J" by C'M" at midnight (It's marked by a group of trees much larger than all the ones surrounding it). 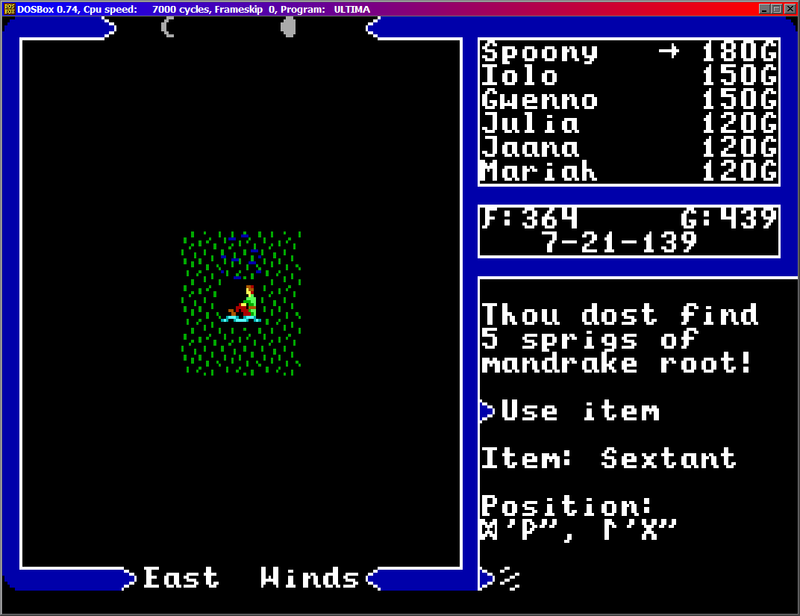 Mandrake Root is in the same spot as last time, a single swamp tile southeast of Minoc located at D'G" by L'G". Once again, you must search that spot at midnight.